“As you know, we’re interested in looking at these cases one by one. Our minds are open. And we’ve found generally that Chinese investors are no different than investors from anywhere else. They look at costs, they look at prices and they make their investment decisions.” But, he added, the Chinese take the “long view” on the energy sector, including liquid natural gas, and oil and gas more broadly. In Ottawa, neither Carr’s department nor the office of Navdeep Bains, the minister of innovation, science and economic development, could immediately clarify what “investment opportunities” in the sector he was referring to. 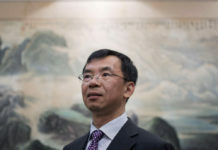 Carr denied it was a policy shift, saying it was a logical extension of the fact that Ottawa is in the midst of exploratory talks with Beijing toward a possible free trade agreement. 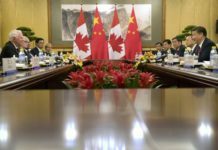 “The Canadian government is prepared to talk to the Chinese government about investments in most sectors of our economy. I don’t think that represents a change in public policy as a general expression of our willingness to talk. 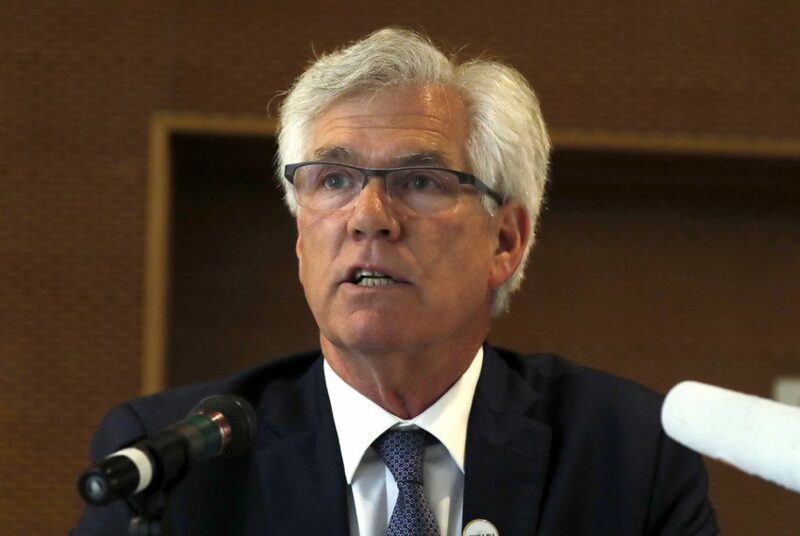 We’re talking with the Chinese more seriously in exploratory talks towards a trade agreement so that would be consistent,” said Carr. 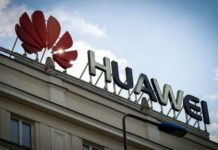 “As is the case with any significant investment from state-owned enterprises, the rules and security reviews of the Investment Canada Act would apply,” said Alexandre Deslongchamps. 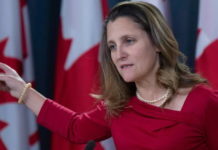 China did not figure at all in a major speech this week by Foreign Affairs Minister Chrystia Freeland that set out a reorientation of the Liberal government’s foreign policy priorities in the face of a U.S. retreat from its role as a global leader in free trade, the environment and security. 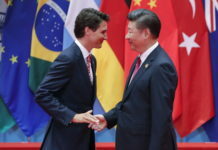 However, it is becoming increasingly clear Ottawa wants to deepen ties to Beijing. Carr’s comments came on a day when the opposition slammed the Liberals for allowing Chinese investment in another sensitive Canadian sector. 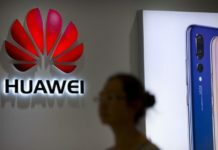 The Conservatives and the NDP criticized the Trudeau government for allowing a Chinese firm, Hytera Communications, to purchase Vancouver-based Norsat International Inc. — a company with military customers, including several among Canada’s allies — without a formal national security review, as reported in the Globe and Mail. “I think it’s important to look at the big picture. How can we trust this government to properly evaluate foreign investment when, once again, they are allowing the sale of advanced defence technology, Norsat, to China, with little or no scrutiny?” said Saro Khatchadourian, a spokesperson for Conservative Leader Andrew Scheer. 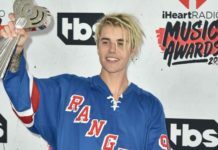 In the Commons, Bains defended the decision, saying the government gave the green light after a preliminary screening that took account of national security.